The Council has refused a retrospective planning consent to demolish the façade of the former Fishmonger/Alchemist pub (planning application 2015/2762) on Tuesday 21st July. 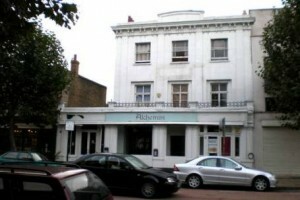 The Alchemist pub, located at 225 St John’s Hill, was nearly totally demolished last month, without planning consent (see our story HERE). 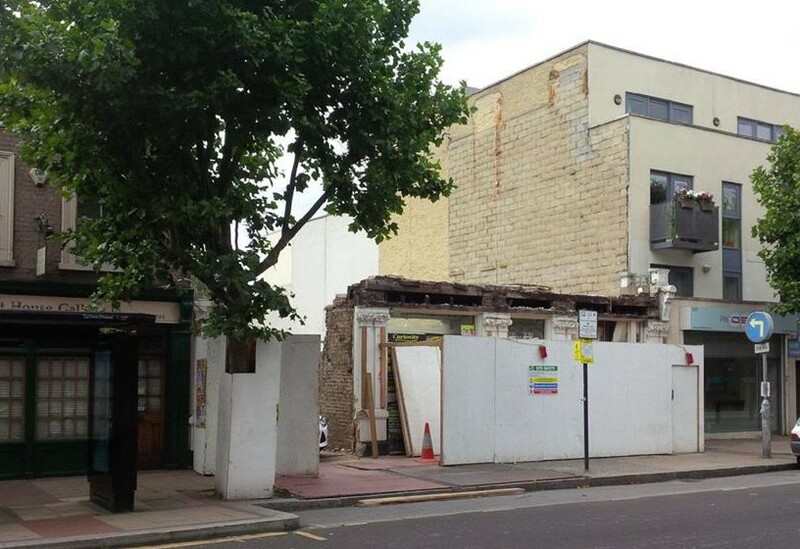 “The council responded to this unlawful demolition by launching enforcement action requiring the developer to rebuild it brick-by-brick. A subsequent attempt to circumvent the enforcement action by obtaining retrospective permission has today (Tuesday) been rejected. Planners ruled that the developer’s application should be refused because the loss of this important local landmark and prominent historic building in the conservation area would be against the public interest. As a consequence, it is likely that the developer will have to submit anew application for further amendment to the rest of the building, which means that former planning consent could be re-discussed and amended.